US company CenPOS has signed an exclusive agreement with Bank of The Bahamas to provide processing technology The Bahamas. The services include mobile processing, electronic bill presentment and payment, integrated payment solutions and recurring billing, among others. 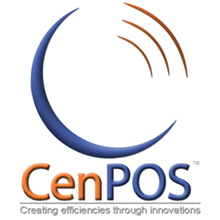 Miami, FL (PRWEB) January 28, 201–CenPOS announced today that it has signed a mutually exclusive processing agreement and acquiring services with Bank of The Bahamas. The agreement covers the entire Commonwealth of The Bahamas and whereby Bank of The Bahamas will promote and rollout CenPOS’ suite of services to the business community throughout the country. These services include Mobile processing, Electronic Bill Presentment and Payment, integrated payment solutions, shopping carts, Point-to-Point encryption, tokenization, recurring billing, and Mobile Wallet. The CenPOS technology solution gives Bank of The Bahamas a significant competitive advantage in the Commonwealth as it covers a myriad of businesses ranging from the smallest to the largest billers in the country. Mobile Payments, ecommerce and Electronic Bill Presentment and Payment being the key drivers of this effort; thus, enabling the bank to easily provide payment acceptance services to merchants in the outer islands while mitigating risk and reducing merchant account acquisition costs. “The Commonwealth of The Bahamas has one of the largest business communities in the Caribbean region in part due to the fact that The Bahamas is one of the most popular tourist destinations in the Caribbean. Therefore, it made strategic sense for CenPOS to cultivate a business relationship with a local acquirer that shared in our vision and was willing to embrace a technological change to create a difference in the market place,” commented Jorge Fernandez Chairman and Co-Founder of CenPOS. “We wanted to partner with a local Bahamian Bank that understood the local business needs and was willing to create their own blue ocean strategy through the adoption of CenPOS’s technology offering, ultimately making the competition irrelevant in the market place,” added Fernandez. “Bank of The Bahamas is proud to partner with CenPOS to continue to be the leader in delivering cutting edge technological banking solutions to our customer,” stated Renee Davis, Acting Chief Operating Officer of Bank of The Bahamas. BOB is a modern, full service bank with 13 branches in seven islands (Nassau, Grand Bahama, Andros, Cat Island Exuma, San Salvador and Inagua) and a long history of firsts in the local Banking Industry. The Bank caters to retail clients from all walks of life providing personal loans and mortgages as well as savings and chequing accounts, term deposits, money transfers, online banking and prepaid cards. Simultaneously, BOB’s Corporate and Commercial Department facilitates the financing and cash flow needs of the premier business establishments throughout the country. Since 2000 BOB’s Private Banking and Trust arm has also provided wealth services (estate planning, trust and corporate services) to local and international clients. Business developers, investors, governmental leaders, bankers, academicians and technocrats will assemble at the International Economic Investment & Trade Symposium in Nassau February 5-6, 2015. Under the primary theme of Creating the New Legacy, this year’s International Business & Finance Summit will draw on expert insight from international speakers on topics such as tax information exchange and the captive insurance market. Hosted by the Bahamas Financial Services Board, the summit will run February 6-7 at the Grand Lucayan in Freeport, Grand Bahama.